If it’s your first time in Cuba you’ll be impressed by your arrival to the Havana airport (Jose Martì). 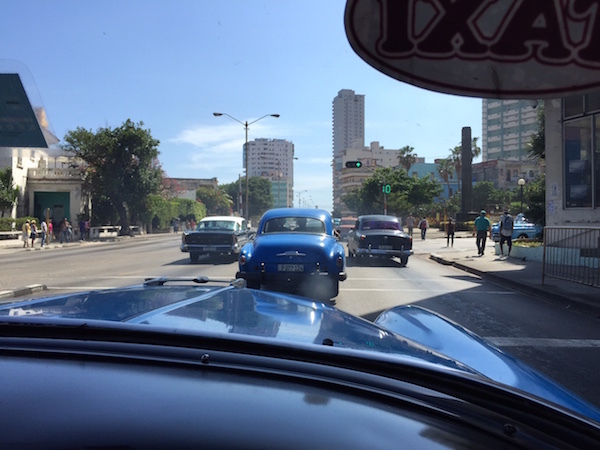 In this post I want to show you how to get from Havana airport to city center (Old Havana or Centro Havana). If you have booked a group holiday or with a tour operator you’ll probably have the transportation included and a bus bringing you to the hotel. However I recommend to visit Cuba by your own, to better live the island and the Cuban atmosphere. You’ll be able to explore less explored places and alternative paths. If you are arriving with an international flight, you’ll see Terminal 3 and if you’re getting a local flight (USA or Caraibi) you’re probably arriving at Terminal 2. You’ll be approached by several drivers once you’ll be out of the airport. You can trust all the taxi drivers over there because they need a regular license to stay in the airport. You can both take a “tourist cab”, you will recognize it because it is usually a yellow and black car, or an almendron cab. What is an Almendron? Well an Almendron is the car you see in the picture of this post. 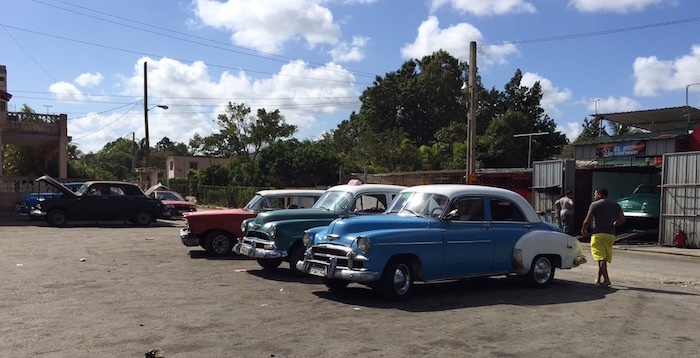 It is a pre-revolution car, from the 50′ and they are the symbol of cuba itself. Some of these cars still have the original engine (pretty crazy uhm? :-)) and some others have a Toyota or more recent one. These cars are also called taxi particular that means private or independent taxi. This is because, as you know, the most of the businesses are owned by the government. 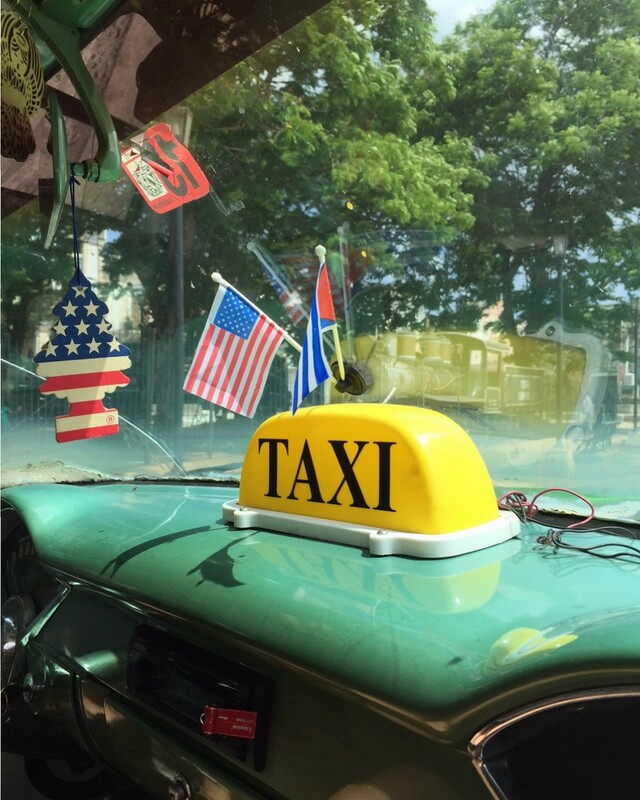 But Cuba has recently allowed the entrepreneurial activities and so most of the taxi drivers are now self-employed. So if you decide do go with a particular, it doesn’t mean that it’s illegal but simply that he’s an independent worker. Based on where you will house, usually a cab will cover you a standard cost that might go from 30 to 50 CUC (pesos cubano convertible) which has pretty much the same exchange rate of the Euro now. If you are going to visit Havana, you are probably staying in the Old Havana which is about 30 mins from the airport. During the route you will enjoy the view and your first impact with Cuba. 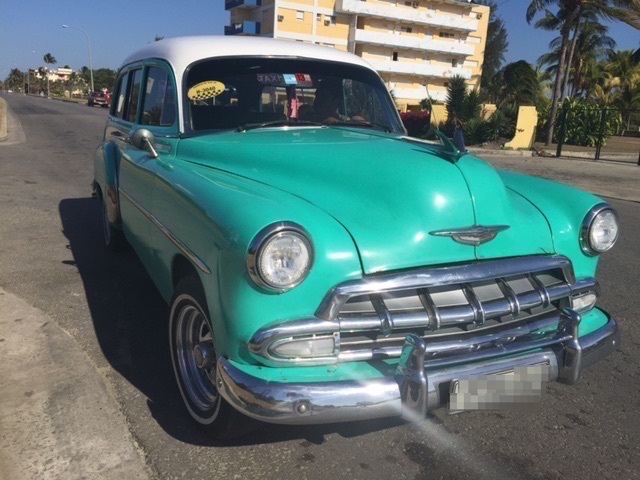 The cab is of course the fastest and safest way if you are looking at how to get from Havana airport to city center. There are also some buses available, but I never tried personally. I usually take a cab when I arrive and if you speak Spanish you can start interesting conversations with the drivers, who are often very chatty. It’s a good way to start understanding the society from an “insider” and learn many things that are not listed in a guide. How to get from havana airport to city center: my tips! If you are lucky enough to be the only flight landing, the immigration line won’t be so long. Sometimes if there’s another flight coincidence the airport gets a little messy, especially Terminal 3. Anyway, when you get outside of the airport you can immediately change some cash. The line it’s usually pretty long and it will take you sometimes half an hour or more to change your money. Otherwise I suggest you to ask a taxi driver if it’s ok for him to accept the money in your local currency. It shouldn’t be a problem to pay in euros or dollars. You can change your money later on in the city in a cadeca, hotel or the bank. The best solution would be to have a taxi waiting for you with your name. I you want to book a cab in advance waiting for you at the Havana airport use the link below..
Hope this post on how to get from Havana airport to city center was useful for you. If you have any question just drop a line in the comments below or send me an email. If you want to book a taxi from Havana Airport to Old Havana or other areas, you can make a reservation right now. Click on the link below and you can easily book a taxi. The driver will wait for you at the airport with your name. Everything is included and you don’t have to think about anything. The cabs are not almendron but newer taxi. You’ll be able to simply book your cab and taxi service from the airport to the city center of Havana or even other locations such as Varadero. You will find a person ready for you waiting at the airport with your name.